If you have spent any amount of time looking up at the night sky, you have almost certainly seen satellites making their way across the star field. Most of these are relatively dim, but some occasionally flare brighter than any of the visible planets. Not surprisingly the easiest man made satellite to spot is the largest, and in a relatively low orbit, which can make it a brilliant sight! 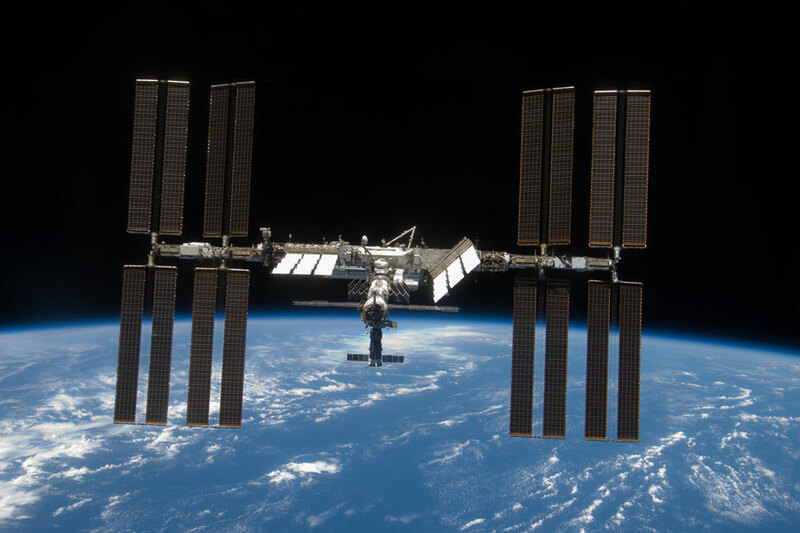 Here are a few handy tools for spotting the ISS from just about anywhere in the world. This site is a great compliment to the NASA alerts, and can show you information about a predicted ISS pass, including the visual magnitude (how bright it will be) and exactly when during the pass it will be visible (sun-lit). Just type in your zip code on your first visit, and it will remember your location. Note: The visual magnitude scale is an odd beast where negative values are brighter than positive values. The value of 0 is equal to the brightest star (Vega). A value of -3 is about the same brightness as Jupiter. In addition to the above two resources, being able to see exactly where in the sky the ISS will pass can be helpful in locating it before it’s gone. Star Walk and similar apps are handy for this. You can set the clock in Star Walk ahead to the ISS sighting time, and follow where the station will be in the sky relative to the constellations and other bright markers. 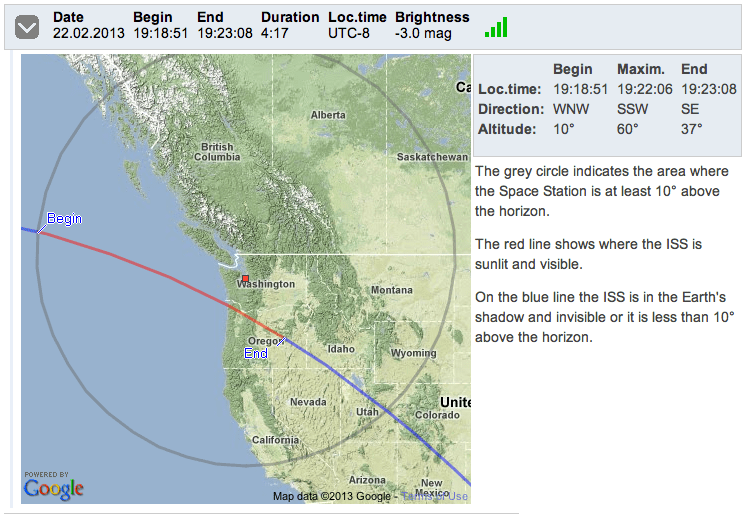 So check your local forecast, and the next time you have a clear night, check and see if the ISS will be passing over. It adds a little more fun to your stargazing. 7 Responses to "3 Easy Tools for Spotting the ISS"
Where did iss.astroviewer go? Best ISS spotting station site and it’s down! Help! 28 Oct 2014 19:39 hrs. ISS just passed over Venice, FL. Great to see only saddened by a missle with supplies that blew up after liftoff in virginia this a.m. headed for the ISS. Yes, it’s too bad about the Antares rocket. Happily no injuries. Rocket science really still isn’t a given. I’m also a big fan of http://www.heavens-above.com, not just for spotting the ISS, but for spotting more satellites than you could shake a stick at. It gives excellent data on viewing times and brightness, as well as historical data on each satellite. 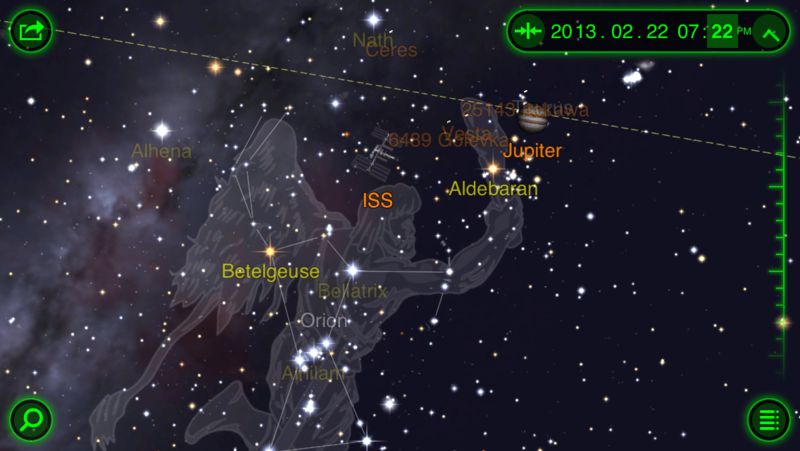 Here is another free app (ISS Spotter) that works on IPhone and IPad, that I have been using to spot ISS. It allows me to very quickly see the timings for the next few ISS passes for my location and I can even set an alarm for those times! Thanks very much for sharing. I wasn’t aware of that app.